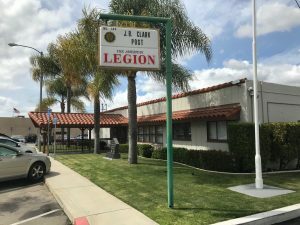 American Legion Riders chapters are well known for their charitable work, which has raised hundreds of thousands of dollars for local children’s hospitals, schools, veterans homes, severely wounded service members and scholarships. Since 2006, Riders nationwide have participated in The American Legion Legacy Run to annually raise money for the Legacy Scholarship Fund, established to provide scholarships to children of U.S. military personnel killed since Sept. 11, 2001. Chapter 149 hosts monthly group motorcycle rides, participates in community events and parades, donates clothing to the Homeless Standown, and is active in helping veterans and their families in need throughout the community. Members must be legally registered motorcycle owners or be the legally registered owner’s spouse within the state of registration. Chapter 149 meets once a month on the 4th Wednesday at 6:30 pm on the back patio of Post 149. Do you like to ride? We would love to have you join us. Any additional information you would like to share about yourself.